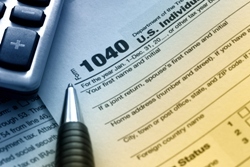 Tax Preparation Services | Springfield, IL Tax Returns | Call Murphy & Associates CPAs, LLC! At Murphy & Associates CPAs, LLC we deliver accurate, efficient preparation of all types of tax returns including corporate tax filings, multi-state taxes and individual income tax returns. Call Murphy & Associates CPAs, LLC now at 217-544-2120 to learn more about our Springfield, IL tax preparation services or request a free consultation through our website. We prepare Form 990 tax returns for all kinds of Springfield non-profit organizations including churches, charities and foundations.